While applying for benefits or disputing a claim, working with a Social Security disability attorney in Statesville, NC is essential. As with any process, professional help can make a big difference. The same holds true for cases having to do with the Social Security Disability program. If you are in need of a Social Security Disability attorney who serves the Statesville, North Carolina area, reach out to me, W. Sloan Goforth, Attorney at Law. When you work with me, I can help you avoid some of the common hardships that are associated with filing for disability benefits. For example, many claimants run into delays because they are unfamiliar with the deadlines that needed to be met. As your Social Security Disability attorney, I will make sure that an issue like this does not get in the way of you receiving much-needed benefits. I realize that regardless of whether you are filing a claim for benefits for the first time or disputing a denial, dealing with the Social Security Administration can be overwhelming. For this reason, I will be there for you every step of the way to provide you with guidance and reassurance. Even if you aren’t sure whether you qualify for benefits, it is always better to obtain legal assistance sooner rather than later. Although some people do choose to navigate the claims process by themselves, you will be more likely to have your application approved if you allow me to assist you. To find out more about why working with a Social Security Disability attorney is so essential, contact my office today. I would be more than happy to go over the specific details of your case with you. 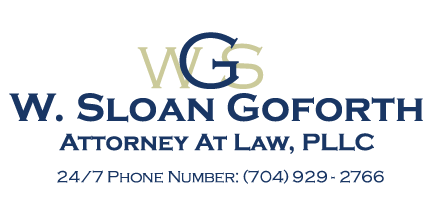 At the office of W. Sloan Goforth, Attorney at Law, our social security disability attorney proudly serves residents of Statesville, Troutman, Taylorsville, Mocksville, Mooresville, Hickory, Iredell County, Alexander County, and Davie County, North Carolina.